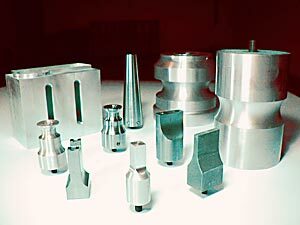 High quality 15 kHz, 20 kHz and 40 kHz ultrasonic welding horns are fabricated at Toman by experienced machinists. The horns are made of high grade alloys: aluminum, titanium or tool steel. Most of the ultrasonic welding horns are guaranteed for one full year against cracks or manufacturing defects. Delivery on most horns is three weeks.